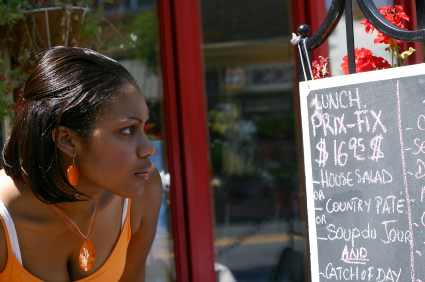 Can you remember the time you first held a menu cover that stood out? 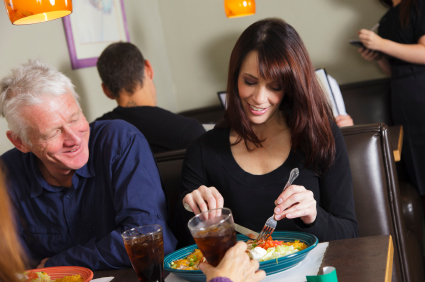 And you may have said to yourself: "Yes.. it does make a difference." 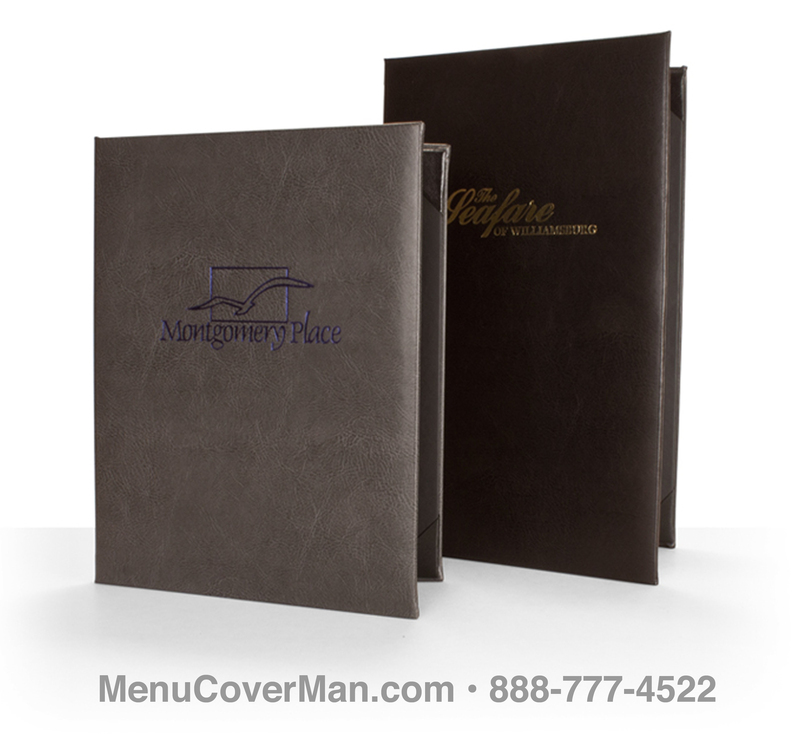 Tamarac Menu Covers feature a smartly padded textured feel. 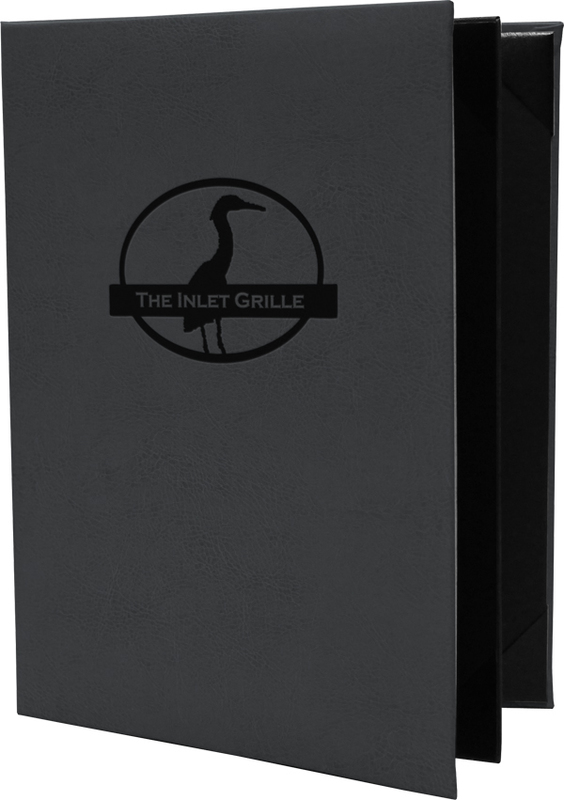 The inside boasts a smooth black material finish, with elegant album-style corners to hold your prized menu inserts in place. The unique varying surface texture yields a classical sense of something that is refined & timeless. GOOD NEWS! 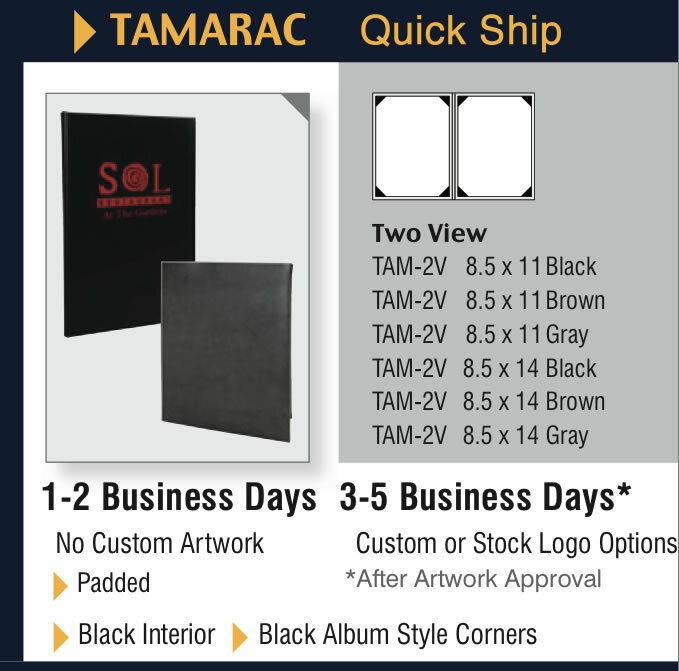 Tamarac menu covers are always kept in stock- READY-TO-SHIP TODAY!- Please scroll down this page and look for this symbol. 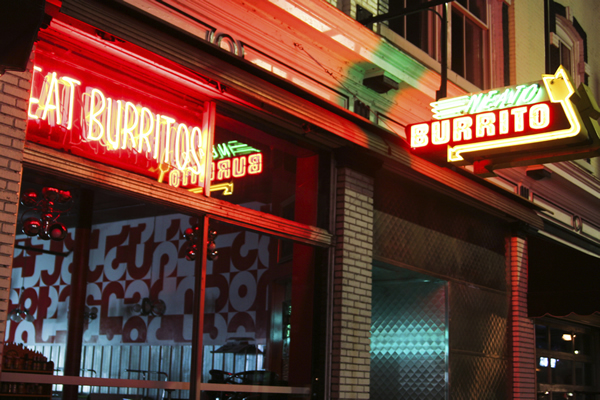 Your facility's logo or imprint will look professional & terrific. 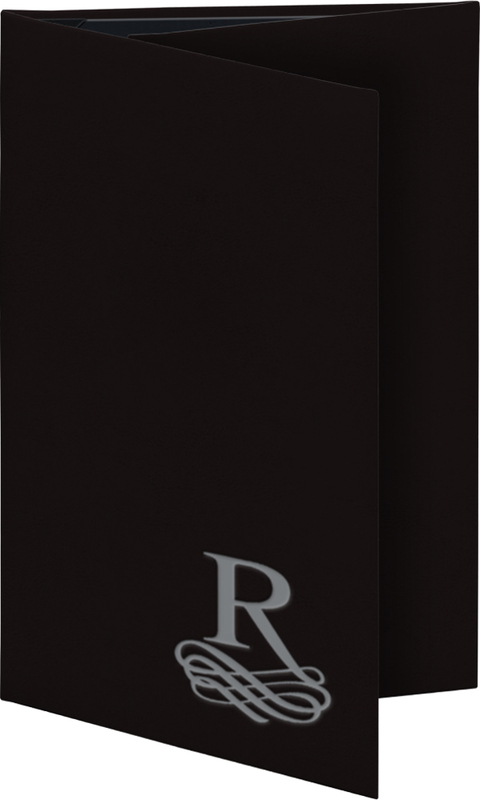 Tamarac Menu Covers feature a smartly padded textured feel. 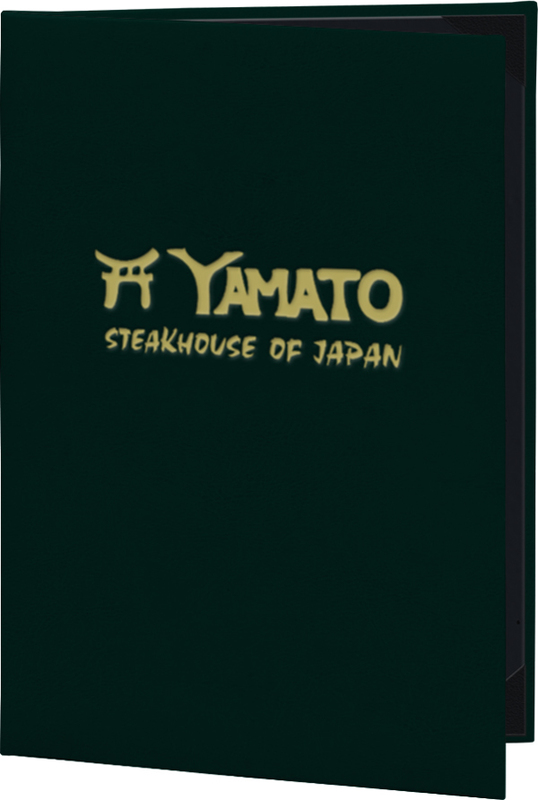 The inside boasts a black material finish, with elegant album-style corners to hold your menu inserts in place. 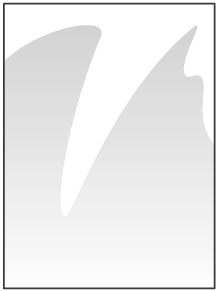 Your menu insert will go into the album-style corners on the obverse of the front and only panel showing your logo. 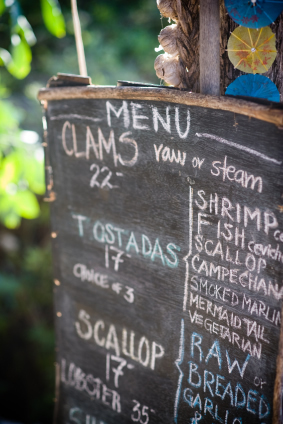 Tamarac Menu Covers feature a smartly padded textured feel. 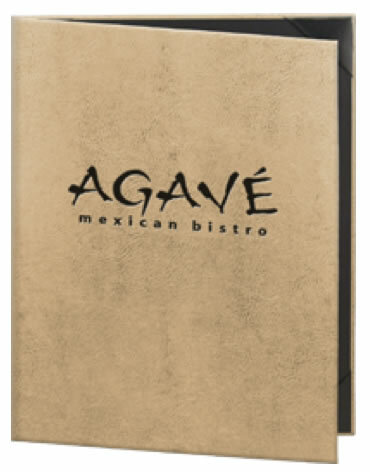 The inside boasts a black material finish, with elegant album-style corners to hold your menu inserts in place. 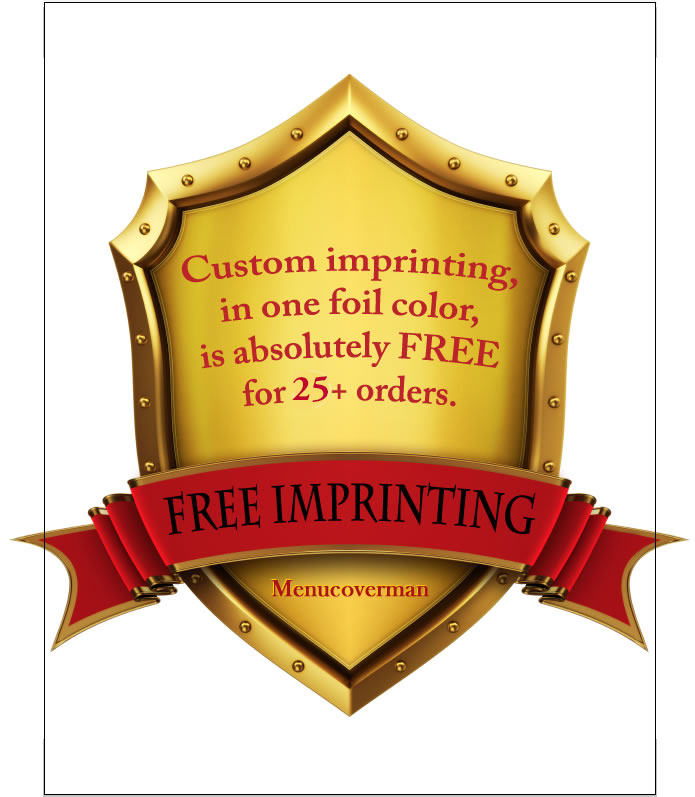 You can order any quantity- as few as 1 is OK for unimprinted in Black, Brown or Grey. 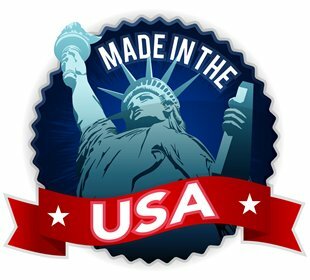 Minimum S/H is $14.50 in the lower 48 states, when that order is less than the free shipping threshold of $350. However, please note: 25 pieces is the minimum for imprint, whether Quick-Ship or not. Black, Brown or Grey finishes are in stock for shipment today! 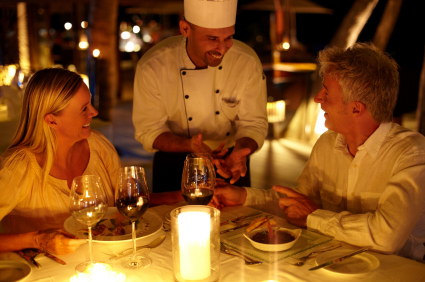 Beige, Green or Wine finishes ship in normal production times.